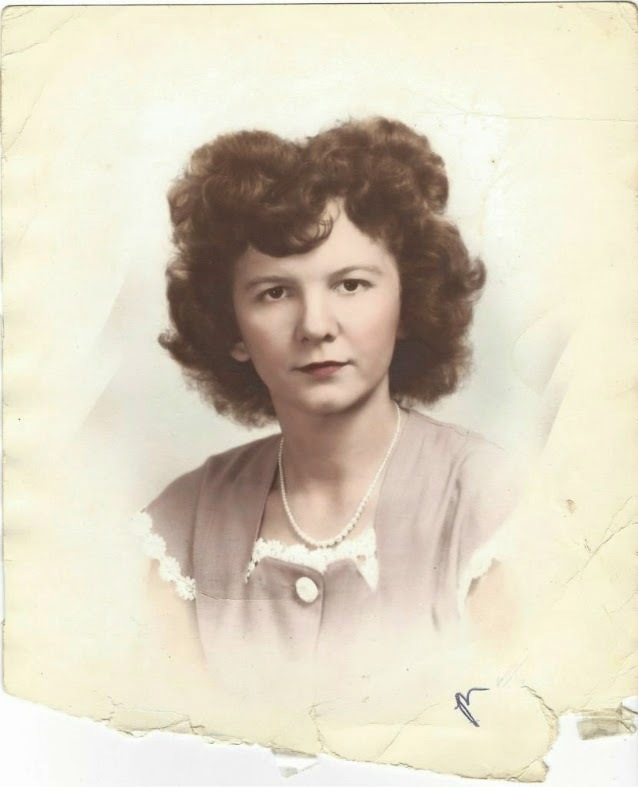 Today would have been my grandmother's 90th birthday. On March 12, 2014, she passed away, & I got on an airplane home. I spent the next two weeks with my family, talking about Nanny, remembering the good days, & figuring - knowing - that now she must now be in a better place. But a memory I know that I will hold dearest has to be when I was going through all of the photos and re-sizing them, preparing them for a slide show our family would watch at her memorial. I say it was a dear moment, because as I was pouring over the images, I realized just how vivid all of my memories of her still are. And how lucky I am that they still are. And how much I want to get them down somewhere so that I may never forget them. That's why every Friday for the month of April - her birthday month - I will be sharing photos of her, along with those dear memories of a woman who was not only a grandmother, but a caregiver to me. Nanny was not just an interesting, unique woman, but also a good one. And I can't wait to celebrate all of the good that she put into my life. My condolences. Old pictures are really special, each week on Facebook my great aunt who is well into her 70's posts pictures of family members and this week was my great grandma when she was 16 in 1936 and it was amazing to see. I'm so sorry for your loss :[ But this is a beautiful piece and I'm looking forward to reading your celebration of her. So sorry to hear, Lauren. But it's so nice that you have all these old photos of her -- I see a resemblance! What a sweet remembrance! My Nana was like mother to me, and I'll be a huge mess if I'm ever in your shoes. See? I can't even accept that it is a reality, likely to happen. Thank you for sharing your memories of your beloved! I'm so sorry to hear about the loss of your grandmother. This sounds like a wonderful way to celebrate her. Thank you! I struggled with how to write about her here, but I think sharing my memories & cataloging them is appropriate. I'm looking forward to sharing more photos, too! Thank you for your kind comment! :) I'm looking forward to sharing more about her - she took care of me when my parents were at work when I was little, so I have many, many fond memories. Thanks, Daci! The more I look at the photo, the more I can see a little bit of myself. And I like that! Thanks, Marla! :) I'm definitely looking forward to sharing more about her. She was a very interesting woman! Your comment made me smile. Thank you so much for your thoughtful words! I absolutely love that, & I actually have some distant relatives who also post old photos on Facebook. It's such a treat to get to see them. It's important to me to preserve family history and learn about the people who came before me. I find it so interesting! I am just now catching up on my blog-reading, and I wanted to say (belatedly) how sorry I am that your grandmother passed away. She sounds like an important woman in your life, and I am sending thoughts and prayers your way.